Arizona Turk reminds me on a daily basis to write about one his 2010 gems Suuns. It’s not that they aren’t worthy of a BOD nod, it’s just that they got lost in the shuffle. 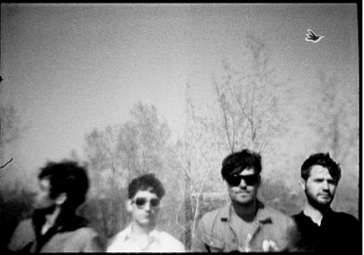 Suuns of Montreal, CN really are worthy… Their album, Zeroes QC, was released late 2010, and it received tons of accolades. They have groove rock tracks, mixed with heavy electro beats. They’re part Clinic, part MGMT, part Beck and part Thievery Corporation. These Canadian lads have the groove of MGMT and the swagger of David Bowie. I love their sound. It’s so unexpected, it’s kinda shocking. Give em a listen and love em like we do! “Sweet Nothing” – If David Bowie recorded a track with MGMT.